Though my maternity leave officially starts on Monday, I worked my last shift on Thursday so I am done work for the next 10 months! If you want a very simple recipe for fudge, I have just the one for you! Over low heat, melt 3 cups white chocolate chips with 1 300 ml can of sweetened condensed milk. 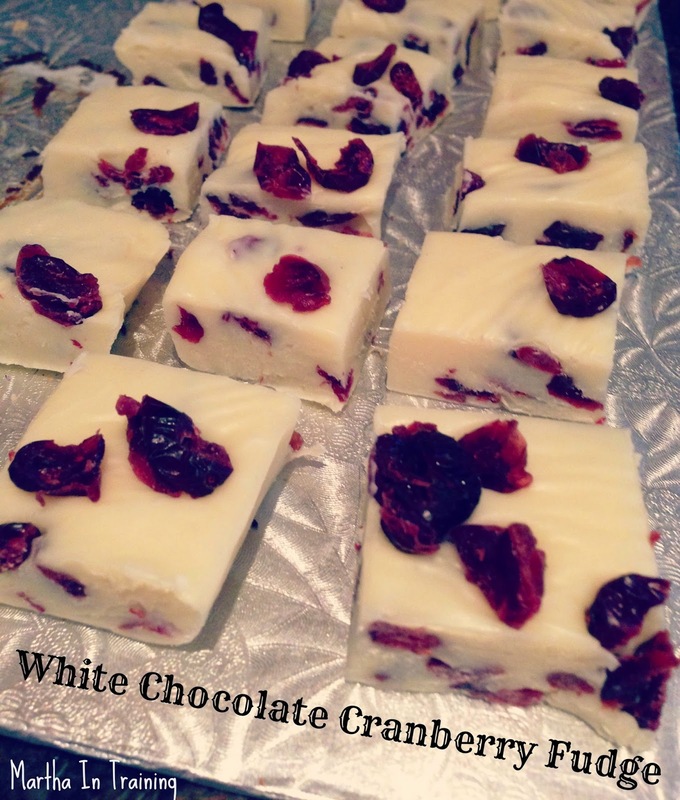 Once the chocolate has melted, remove from heat and stir in 1 tbsp vanilla extract and 3/4 cup cranberries (I used craisins). Pour into a pan lined with tinfoil. Allow to set in the fridge for 2 hours or until set. Then cut and enjoy! The DIY project (which is also crazy easy if you have the necessaries) I'll post tomorrow. 37 weeks + 5 days today! Her official due date is December 22nd but she's fully cooked and could come any day now.